In the first few weeks of 2017, STAX Racing participated in RaceDepartment’s MINI Challenge Season 10. Our driver lineup consisted of Jazz Forsberg and Andrew Warring. However, the latter did only start in the first race, leaving Jazz to run as a single car team for the rest of the season. The French driver freely admitted that he was still a newcomer to simracing, but had some decent results nonetheless. You can read more about the series here. 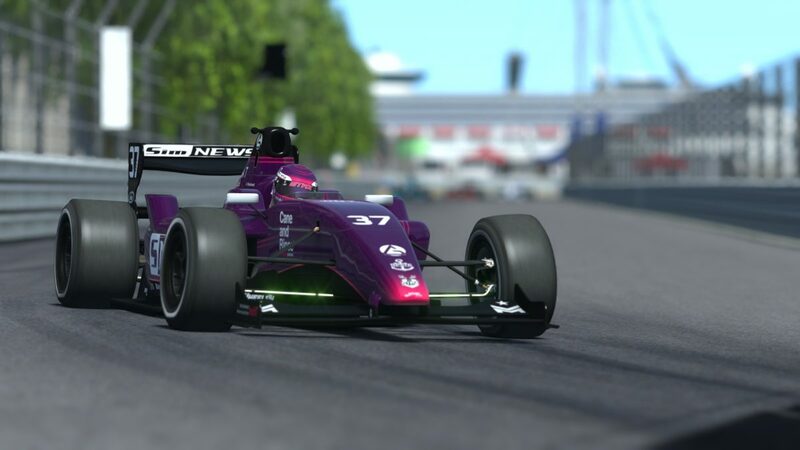 Our main focus this year was on GPVWC’s 2017 Formula Challenge season. Our driver lineup consisted of Menno Klont and Chris Shepherd. Liam de Waal and Mateusz Ziubinski also drove for us when Chris Shepherd was unavailable. All in all, the season was a big success for us with multiple race wins. In the end, we finished second in the Constructor’s Championship and both our “main drivers” were in the Top 5 at the end of the season. You can read more about the season here. Being big fans of GT racing, we of course started in the 2017 World GT series with drivers Nico Barclay and Thomas Hinss. The series struggles with dwindling participant numbers while being dominated by EVAL SimRacing’s Risto Kappet. STAX Racing finished second in the Constructor’s Championship, behind EVAL Simracing and ahead of Epic Racing. In the Drivers’ Championship, Nico Barclay came third behind Risto Kappet and Chris Shepherd while Thomas Hinss finished the season in eight place. You can find further information about this series if you follow this link.